All-new items now in stock at NJPW’s official store, the Tokon Shop! By Beretta‘s request: his first T shirt! Silhouette design with ‘Dudebuster’ text. Omega started its legacy, Jay White took over; now you can continue it with the US title print shirt! 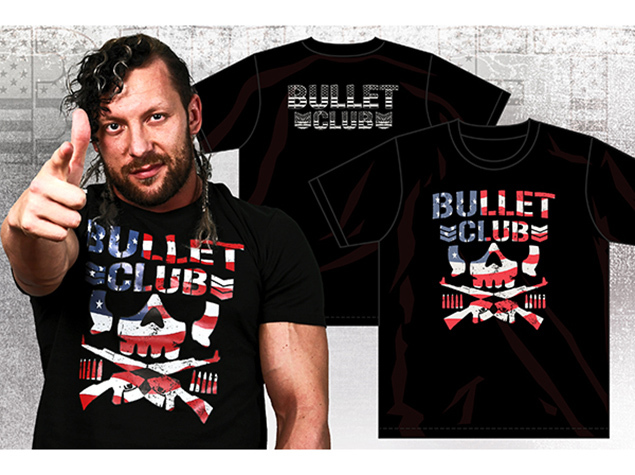 This US themed Bullet Club design was previously only available at 2017’s LA event! This US themed Lion Mark design was previously only available at 2017’s LA event! This tote bag features logos from three huge springtime events! Bullet Club caps are back with a new design! We’re taking orders now for this awesome collection of SHO and YOH shots! – This item will be delivered after 23 April 2018. Goto’s new T-shirt is here! Tiger Mask W! Tanahashi! Makabe! Okada! Theyre here! In figure form! Doing bridges!